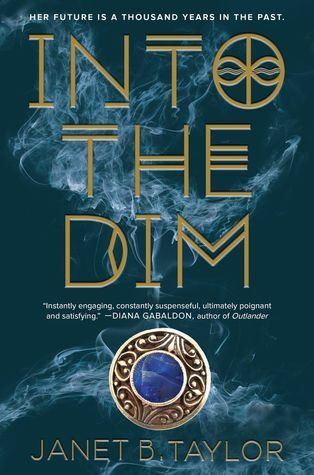 I am thrilled to be a stop on the book tour for Into the Dim by Janet B. Taylor hosted by Rockstar Book Tours! Today, I have an interview for your reading pleasure, but be sure to check out the additional stops below, or click on the tour banner above, for more! Welcome to Bookish Lifestyle, Janet! I'm so excited to have you here with us today! Oh!! Thank YOU guys so much for having me! I love your site! You’ve got such a great mix of bookish & girly & fabulous! Thank you! :) Could you tell us a little bit about the inspiration behind Into the Dim? I actually started out wanting to write straight historical fiction. And I was working with a wonderful hisfic author named Suzanne Dunlap, who—after working with me a while—told me my voice sounded very ‘YA’ and maybe a bit too ‘modern’ for straight-up hisfic. She suggested I try moving my writing in a slightly different direction. She was right, of course, though at the time, I was pretty devastated. See, I’m a total history nerd, and I knew that’s where my heart lay. So I started thinking…Okay. Modern voice. History. YA. Oh man. When we meet Hope, she’s this introverted, phobia-riddled, extremely sheltered girl who’s basically had every moment of her life dictated to her by her mom. Now, seven months after her mother’s death, she’s like a person who’s never had to stand on their own, suddenly having the crutch kicked out from beneath them. It’s not until she travels to Scotland and learns the truth about her mom that she begins to find she has strengths of her own. Do you dread or look forward to revisions? I would LOVE to see Grandmama, (Violet, the Dowager Countess of Grantham from Downton Abbey) show up as one of Hope’s Scottish ancestors and watch her and Aunt Lucinda go head to head! Of course, Maggie Smith is brilliant no matter what she does, so of course…she’d win! Maggie Smith for the win! What is it like seeing your book on Amazon, Barnes & Noble, Goodreads, etc? It’s very, very, VERY surreal. I don’t think ANY of this will begin to seem real for a very long time. Most people don’t realize that an author’s life is generally spent alone, in sweat pants and pony-tails, staring at a computer screen for hours upon end. As a newbie, it’s still hard for me to equate my real life with the buzz happening around the book. If you could time travel, where would you go? Who would you meet? Why this time/place/person? That’s simple! I’ve already lived my time travel dream through Hope and the gang! I’d go to twelfth century England, and hook up with Eleanor of Aquitaine. I’ve been fascinated with her forever. She was an incredible woman. Queen of both France AND England. She ruled England as regent when her husband was away, which was very rare at that time. She spoke several languages, was highly read and extremely intelligent. She gave birth to ten living children—including Richard the Lionheart and the notorious King John of Robin Hood fame. And she lived to be eighty-six years old, in an age when the average life span for women was only around thirty five. The 2013 winner of the coveted #PitchWars, Janet B Taylor, has four years' experience writing web content for a major television network fan site (CBS) that garners over a hundred thousand hits a day. Janet travels extensively to those places where her novels are set, often roaming around at night to commune with the famous historical figures about which she loves to write. 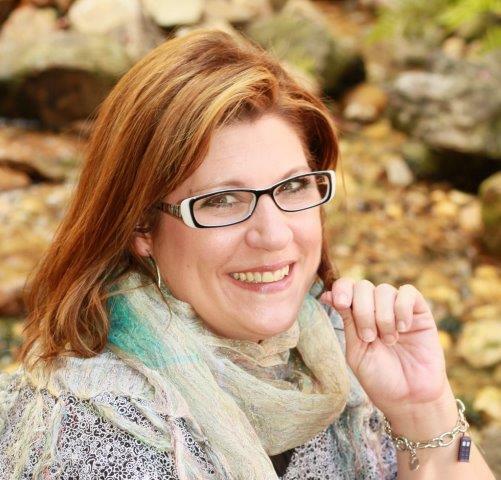 She is a member of several writing organizations, including the SCBWI and the Historical Novel Society, and lives in a tiny town in Arkansas with her family.